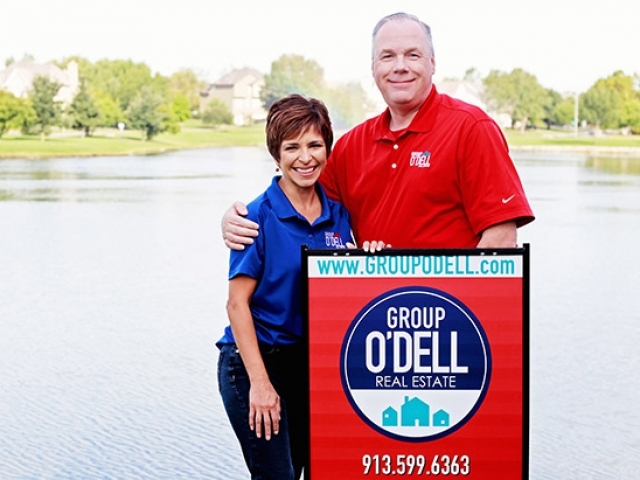 YOU are in a state of transition… If you are buying or selling a home, it’s because you are in transition– and no one understands that better than the Group O’Dell Real Estate Team. 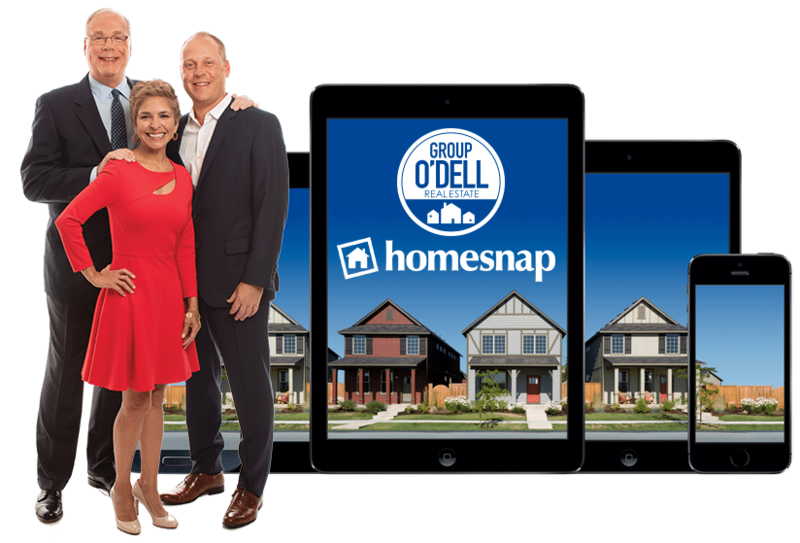 The process of buying and selling a home can be filled with road blocks and pitfalls and Group O’Dell’s primary focus is to create the pathways to overcome them while providing a smooth transition. The story may start with a home sale but it ends with someone who has your back. We’ve proudly invested in training and taken that experience into our community of relationships that support you through the process. It starts with the team who serves you and spreads to the community at large with organizations like KCADC, the local real estate community through teaching and mentorship – as well as the vendors we bring alongside and refer to you. This purpose-driven work offers the best resources around your move and homeownership experience in order to create advantages for you. Our mission is to serve you in such a way that you will gladly connect us to your friends and family when they are in need of real estate services. We can only do that if we’ve surpassed your expectations. You have our full attention before, during and after the sale because you are more than just a transaction to us and we will work hard to earn your trust. Life change is the catalyst to any move and no one knows that better than the O’Dells. After a high-achieving sales career with Eastman Kodak, Dan chose the profession of real estate sales. During a personal real estate transaction, he experienced how poor representation could devastate a family. Dan vowed to set a new standard in the real estate field after that experience. He moved forward with purpose and mission in his new career exercising all his expertise in negotiation, finance, and marketing to serve his clients. 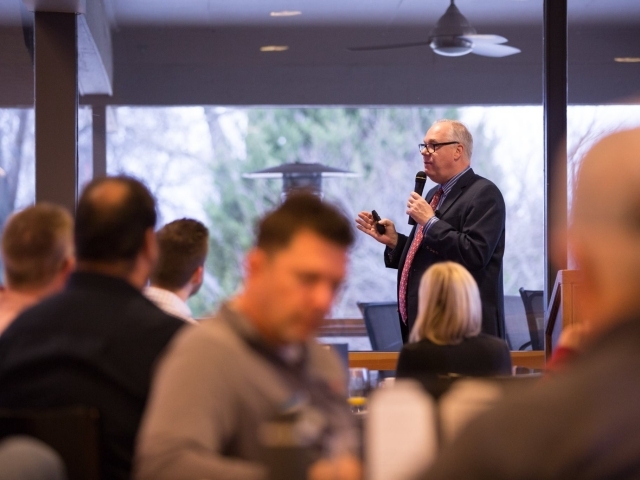 Today, Dan loves to teach his counterparts, local businesses and community members on topics such as business development, real estate planning with aging parents and the foundation of relationship selling and the significant responsibilities associated with this approach. The simple truth of his philosophy: if we understand the issues and motivations of the people we are working with, we can serve them at a higher level. Dan and Maria together have 3 adult children and 6 grandchildren. 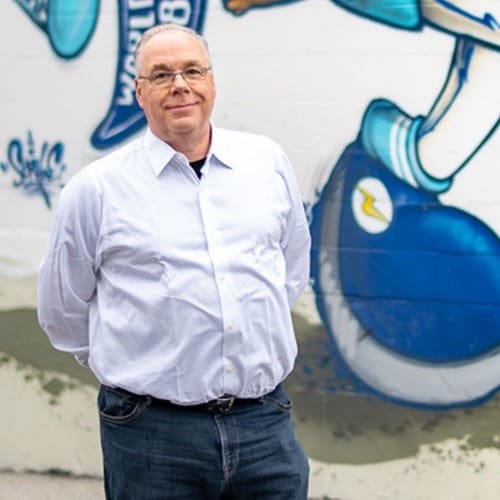 An avid sports enthusiast, Dan is a 30-year high school basketball official, active in the Great American Basketball Youth Foundation, and loves cheering for his Kansas City Royals. Dan & Maria are proud to be certified Mentors & Facilitators by Buffini & Company, the largest real estate coaching company in the world. Maria found her calling in real estate after a successful career with Commerce Bank as the Manager of Customer Service and Operations Officer. Her natural ability for understanding her client’s needs and how to serve them has translated effortlessly into the real estate field. 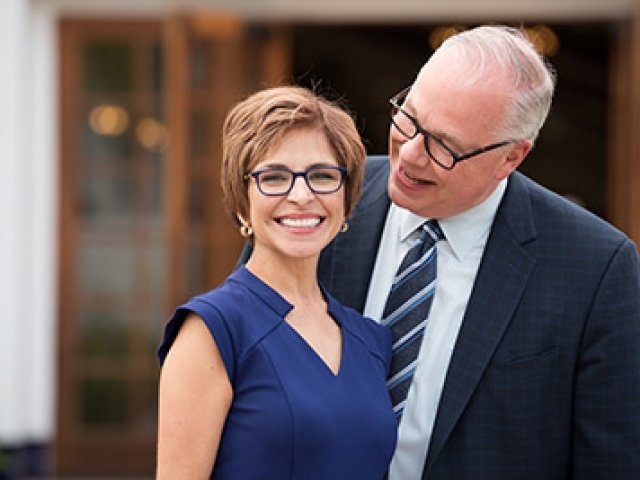 When Maria and her husband, Dan, started this journey more than 20 years ago, they dedicated their careers to elevating the real estate industry by setting higher standard for serving their clients. 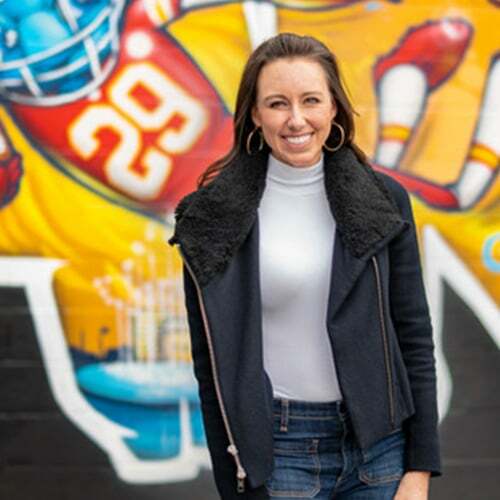 Her passion for creating meaningful relationships and a cohesive experience for all their clients has consistently led Group O’Dell to be one of Kansas City’s top teams in real estate. 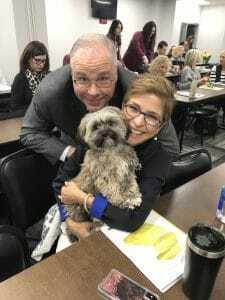 Buffini & Company Ambassador since 2012, Maria and Dan were awarded the 2016 Mentors of the Year from more than 2,500 active Buffini & Company Certified Mentors for their training of local vendors and real estate professionals. 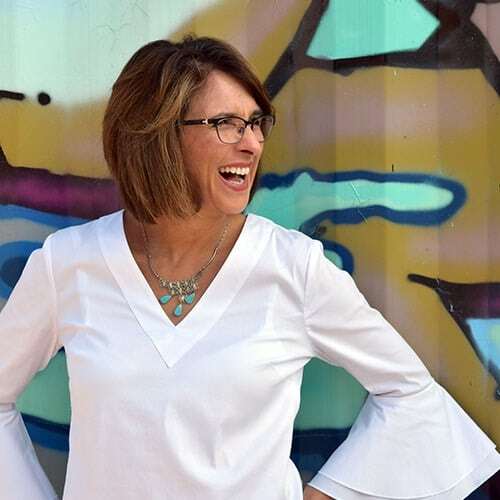 Licensed in Kansas and Missouri since, 1998, Maria also earned designations as a HomeStager, Accredited Buyers Rep and Certified Sales Professional. 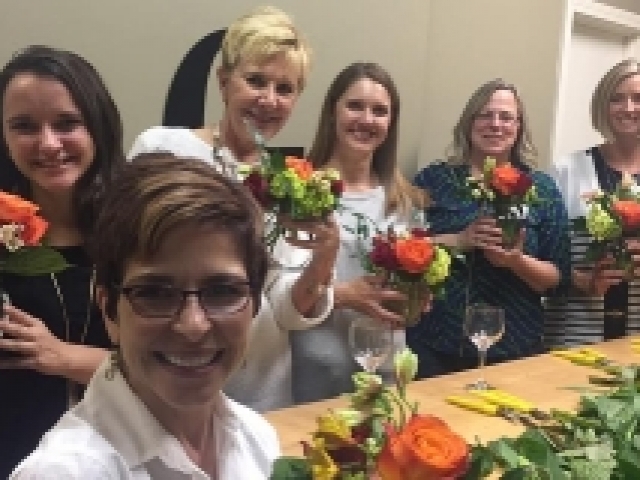 Maria’s passion for helping others extends beyond her clients. 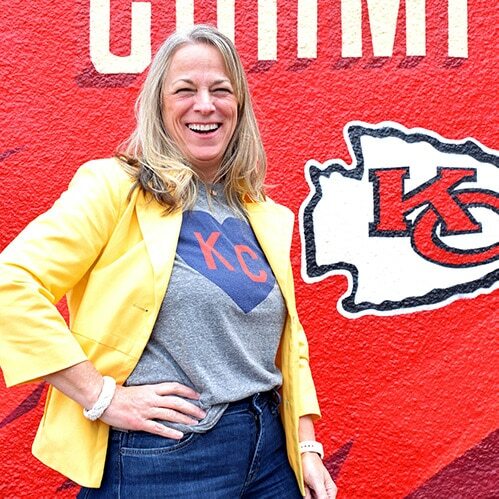 She has been a long-time supporter and board member since 2018 for SafeHome which provides shelter, advocacy, counseling and education for Domestic Abuse survivors to the Kansas City community. 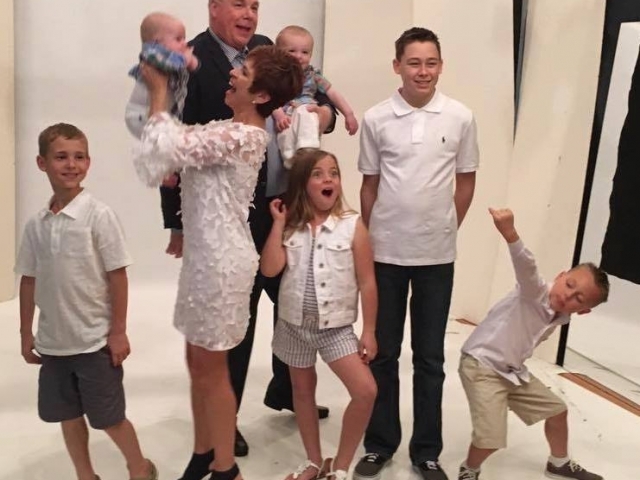 Maria and Dan enjoy spending time with their three adult children and six grandchildren. When she isn’t leading Group O’Dell, Maria loves to travel, read, admire great design and work in her garden. Mike learned the philosophy and fundamentals of the family business at a young age and has been servicing Group O’Dell clients since 2006. 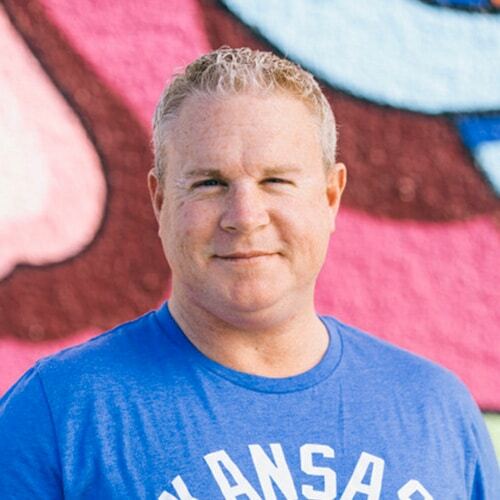 With a degree in communications from Pittsburg State University, Mike’s ability to guide his clients through the real estate process resulted in $48 million in volume in 2018 with 129 transactions. Mike’s vast knowledge of the entire Kansas City metro area serves his clients well as he guides them to find the perfect home and creates advantages for his clients through the negotiation process. When not selling real estate, Mike enjoys spending time with his wife, Erin, and three sons, Stuart, Braxton and CJ. He also is an avid golfer, Kansas City Chiefs and Royals fan, and enjoys traveling with his family. If you need great advice and knowledge about the real estate market, Mike is ready to help! Bryan Baumgart is passionate about helping people and going above and beyond for his clients. 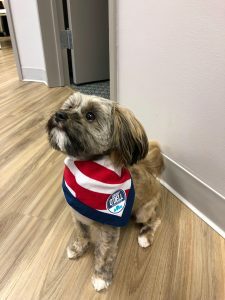 His natural curiosity and ability to problem solve help him provide a superior-level of customer service, before, during and after each sale. 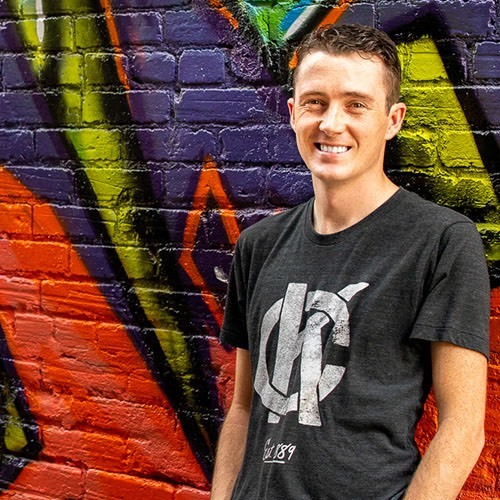 Bryan has been a licensed real estate advisor in the Kansas City area since 2012 and has developed an analytical understanding of the market to provide sound advice for investors and residential real estate clients alike. Bryan attended Montana State University to study Environmental Design and uses his skill set to help clients envision the design potential in homes, calculate accurate cost of renovations, and provide an objective analysis on their investment to make the home buying experience simple, stress free, and enjoyable. 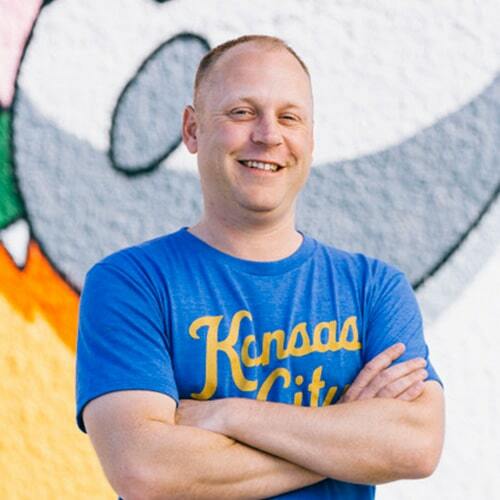 When Bryan is not assisting his clients with their real estate needs, you will find him enjoying live music at local venues, exploring the foodie scene in Kansas City, and spending time with his wife, Niki, and their beloved Shih Tzu, Pepper. Ross Payne is an experienced and dedicated real estate agent on the Group O’Dell team. His commitment to his clients extends beyond finding the perfect property to protecting their investment using efficient and effective negotiating skills to ensure a successful transaction. Ross’ background working in investment and commercial real estate has made him a strong advocate for his clients with excellent communications skills, attention-to-detail, and client-level service. Ross enjoyed a competitive Division I soccer career at Drake University, where he studied marketing, advertising, and leadership. 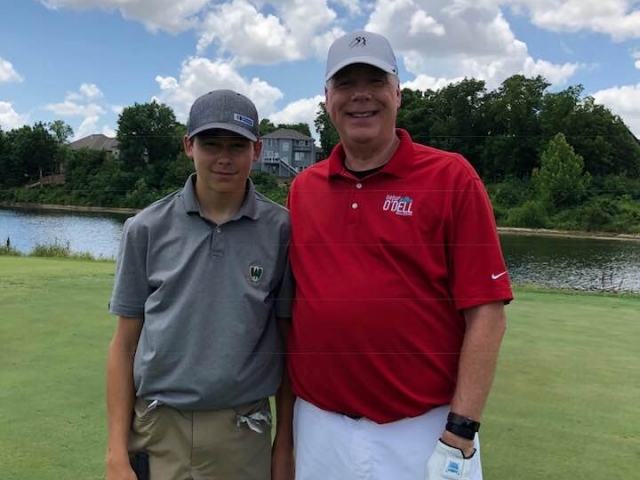 Ross is an avid sports fan, and enjoys spending time with his friends and family on the golf course and relaxing at the lake. In her spare time, Michelle and her husband, Ken, love to ride their Harleys together, as well as, spend time with their three fur babies and chickens. Jon Hecksel is committed to giving his customers a top-notch home buying experience while having fun. He uses his background in law and business to make sure that each transaction is seamless. Jon understands that a home is your most significant investment and loves to negotiate for his customers. He is not only a Group O’Dell agent but also a previous customer. Jon received his J.D. from Western Michigan University and his M.B.A. from Michigan State University. Before real estate, Jon practiced divorce and bankruptcy law. When he is not selling homes, you will find him at one of the KC sports or music venues. Jon loves to travel and spending time with his two Yorkies, Magnum and Encore. Kenn Williamson brings to his real estate sales career over 20 years of experience in residential finance. 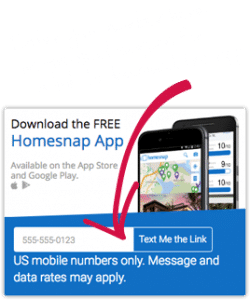 In 2001, he founded a Kansas City based mortgage company and has personally helped over 1,200 buyers purchase their first home or build their dream home. Kenn’s extensive experience with new home construction has made him an expert on navigating the purchase process and the financing of these types of real estate transactions. Kenn believes communication is the key to a successful partnership. 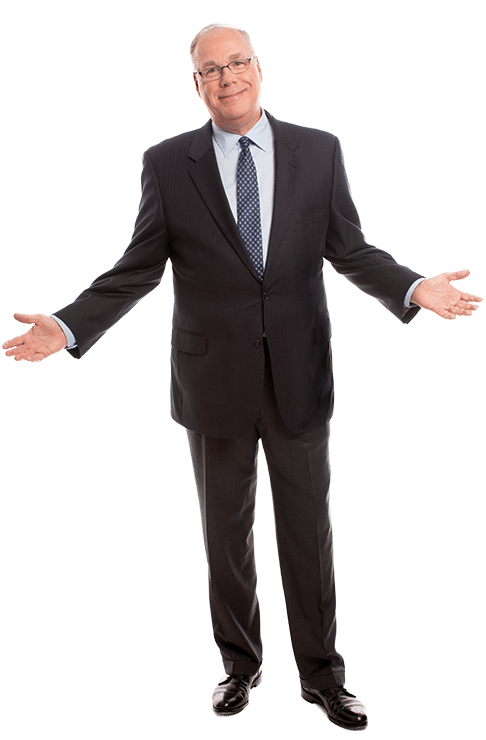 His savvy negotiation skills, cutting-edge marketing strategies and service-oriented approach have given him an unparalleled professional track record. In his free time, Kenn enjoys golfing, traveling, and spending time with his wife, Kelley, and their dogs. He and Kelley also love to cook and try new restaurants, and consider themselves amateur food critics. Unlike some teams with assistants who are unlicensed and pass paperwork, Mary Line, is a seasoned professional supporting your agent. Offering 20 years of experience as a licensed real estate agent, Mary, coordinates all the details of bringing your home to market. In fact, she is more experienced than most agents in negotiation and pricing and lends another level of guidance through the process of selling your home. Mary leads her interaction with clients with a positive attitude and service-oriented approach to understand and connect to their goals and objectives. Her vast experience is a strong benefit to sellers. As the daughter of a 30-year Air Force Veteran, Mary has lived throughout the United States. This experience gave her an appreciation for the small town feel with big city vibe that Kansas City offers. 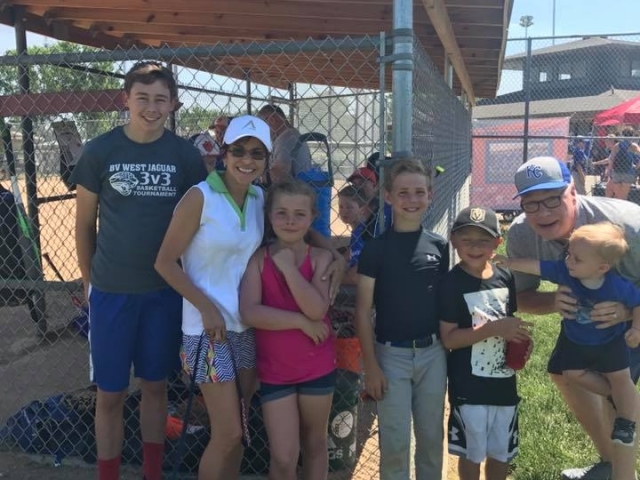 In her spare time, she enjoys spending time with friends, walking, gardening, cooking, and cheering for the Kansas City Royals and Chiefs. Katie Tranckino, a Kansas City native and graduate of the University of Kansas, serves as the Client Care Manager for Group O’Dell overseeing each transaction, from contract to close, to ensure all deadlines are met and parties are performing according to contract. Her natural problem solving and analytical skills, combined with her systematic approach to provide a superior level of customer service. Katie’s background working in the mortgage industry has given her a keen understanding of the entire mortgage process for effectively partnering with lenders and title companies to make your transaction process seamless. As the former owner of a real estate business, coupled with her many personal real estate endeavors, she understands what it means to be both a buyer and seller. Katie’s experience, attention to detail and dedication to the entire process give each of Group O’Dell’s client’s confidence in the entire real estate transaction. When Katie isn’t in the office, she enjoys cooking, exercising, and spending time with her husband, Michael, and daughter, Sophia. 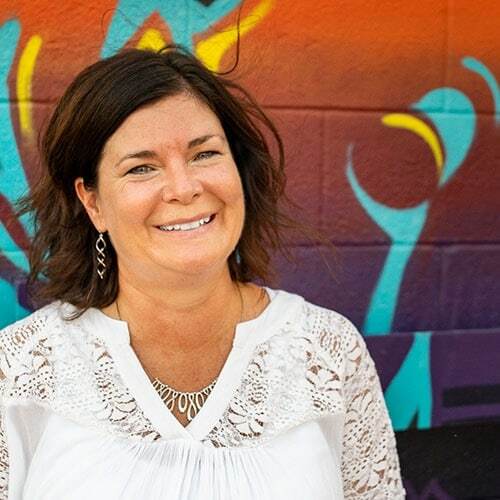 Having been in community outreach with the Park Hill school district for 15 years, Carmen is a perfect fit as our Relationship Director. 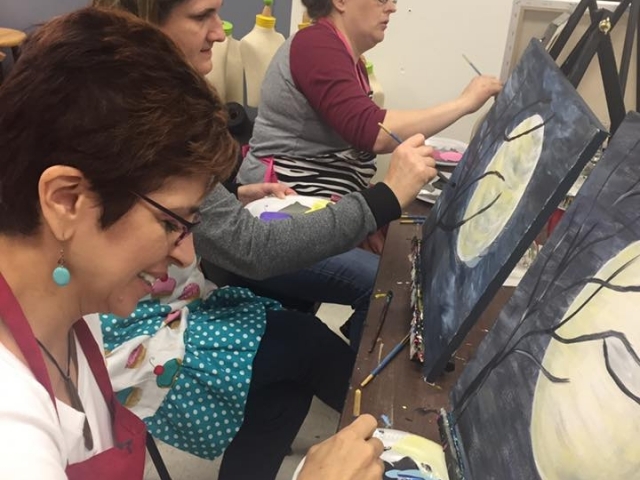 The same creative thinking that allowed her to turn the community education department into a profitable one, is the same creativity that will drive some of the new events and outreach for our clients. Carmen also supports sellers in bringing their home to market by creating collateral. When Carmen isn’t trying to make someone’s day at work she enjoys spending time with her adult children, exploring the city on date nights with her husband, and getting together with friends. 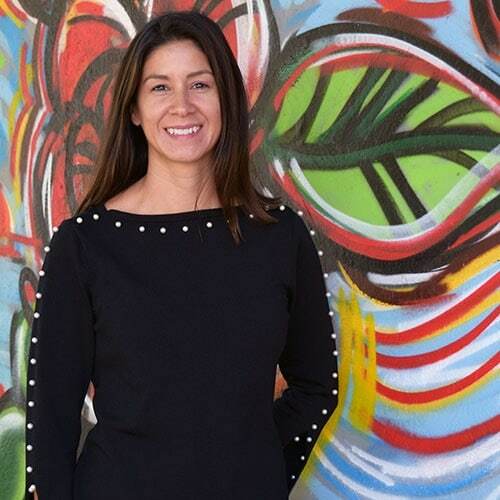 Erin O’Dell is the Director of Business Development for Group O’Dell with Keller Williams Realty Partners. Her extensive background in the medical sales industry has provided sophisticated negotiation skills and commitment to clients to provide a high-level of customer service. 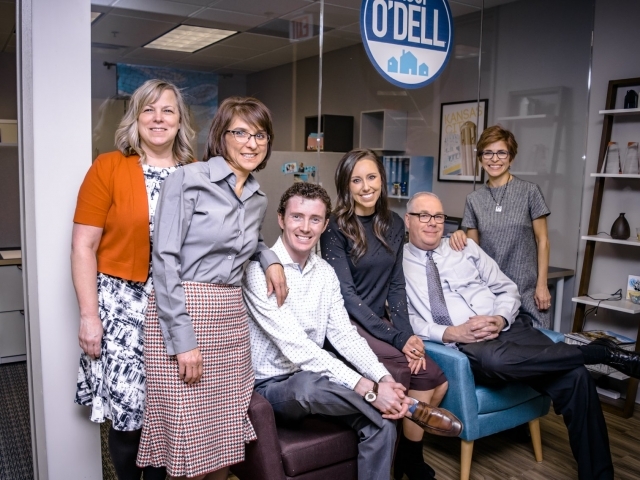 Erin’s natural ability to connect with people and business savvy have made her an instrumental leader on the Group O’Dell team. Whether she is organizing our Women’s Workshop or connecting new moms to the area, her commitment to provide value and put people at ease naturally flows to those we serve. Her favorite part of growing Group O’Dell’s business is the opportunity it affords to give back to the community. Group O’Dell humbly supports many organizations including Team Up for Down Syndrome, Hope Center, and HALO. Erin O’Dell has a degree in Marketing from Pittsburg State University. When she’s not in the office, she sneaks away to exercise and stuff veggies in her husband, Mike, and their three boys, Stuart, Braxton and CJ. Daniel is first and foremost, an artist with a passion for design and architecture. 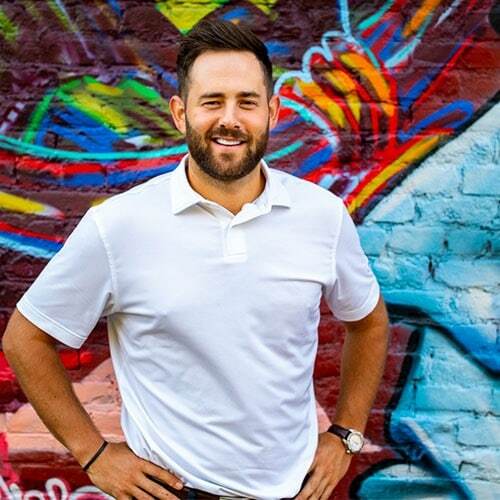 As the youngest son of Dan and Maria O’Dell, Daniel “grew-up” in the real estate business and has a natural ability to envision a properties potential. As a licensed realtor and listing assistant, Daniel’s responsive nature and thorough follow-through before, during and after each transaction, make him a tremendous asset to the Group O’Dell team. Daniel’s love of all things creative led him to study music production at Columbia College in Chicago. 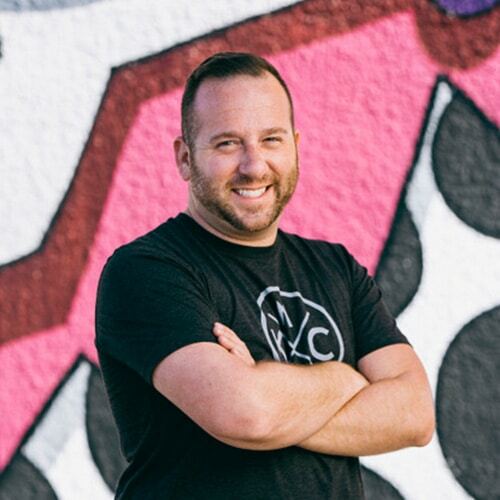 When Daniel isn’t helping our clients with all their real estate needs, he enjoys making music, exploring every corner of Kansas City, discovering flea market finds, reupholstering mid-century furniture, and flipping houses. 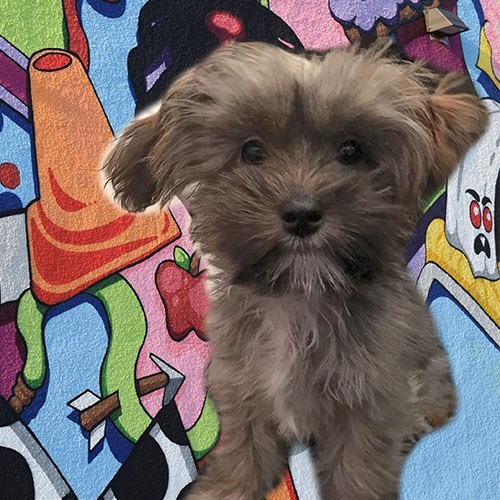 Carlos was born in Camden MO to his mother a Bichon/ Shihzu and his father a Yorkiepoo. Litter box trained as a pup, it’s been said Carlos thinks he’s a cat. His ability to put himself in other’s “shoes” is just one of the ways he demonstrates his high emotional intelligence. 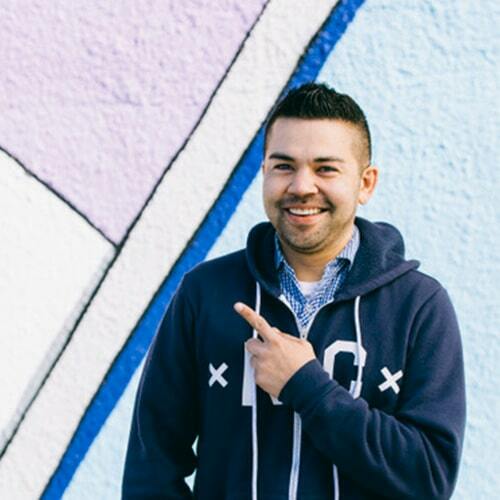 After studying public relations and marketing, Carlos has created the perfect job at Group O’Dell as Chief Marketing Officer. His magnetic personality and creativity in front of the camera is captivating and if you’re not careful, you’ll find him overtaking your lap when you come into the office. In his off time, Carlos enjoys licking faces, playing Houdini by disappearing with your personal items, removing the insoles of shoes and finding comfy pillows to rest. 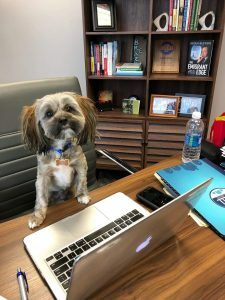 He looks forward to welcoming you to the office. Michelle works very hard to find your best home and wants your families so happy! Michelle is so awesome!!! She truly tries to understand needs and wants, how it will work with your family and what you can afford. She works very hard to find your best home and wants your families so happy! Yes she has tons of patients! Dan O'Dell your help in finding our forever home was exceptional! Your work and customer service after the sale has been outstanding! I would like to thank you for your advice, information and referrals in our search...Your work and customer service after the sale has been outstanding and we hope to send you many referrals.